John F. Kennedy and Abraham Lincoln are two of history’s most popular and influential U.S. presidents — unfortunately, they were both also assassinated. Yet some people believe we’re missing the big picture behind these deaths. Want to know more? Tune in. Featured Image: The World famous “Hollow Earth” diagram and map from Max Fyfield. Used with Permission. Featured Image: Cover of Volume IV #1 (Jan-Feb 1997) of the snail-mail ‘fanzine “The Hollow Earth Insider”. 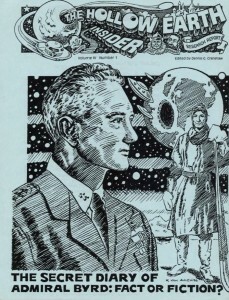 Cover drawn for this issue by “Van Aulen”. 1997: The Missing Diary of Admiral Byrd: Fact or Fiction? Featured Image: North Sentinel Island. CREDIT: NASA Earth Observatory image created by Jesse Allen, using data provided by the NASA EO-1 team. SOURCE: Wikipedia Commons (Public Domain0. 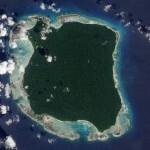 Located off the coast of India, North Sentinel Island is a distrubing anomaly. Mysterious people live on it, but all attempts to contact them have gone disastrously wrong, and they attack any outsiders with unparalleled ferocity. So what’s going on at the island? . . . From Description published with video. Virtually everyone with internet access is familiar with Google and other search engines, but there’s a wealth of pages these engines don’t touch. So what exactly lurks below the ‘surface’ internet? Is any of it real? How can you search for yourself? Tune in to learn more.